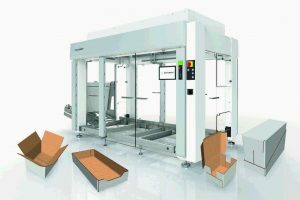 For ProSweets starting this weekend in Cologne, Bühler and Haas plan to demonstrate why they have become a global knowledge centre for integrated plants in the sweets and snacks industry. The businesses, which joined forces a year ago, have jointly exhibited at key trade shows during the past year, and have been engaging with customers to highlight their combined strengths. Having been acquired by Bühler just over a year ago, Haas customers have access to over 100 local Bühler Service stations and can benefit from fast support when in need. Maximum plant availability and a constant high quality are key factors that Bühler and Haas strive to deliver, with the fair offering the chance for customers to explore possibilities offered for manufacturing waffles, cookies, bars and chocolate. 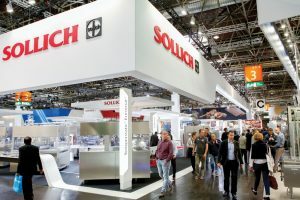 Bühler (pictured above at a previous show), and Haas plants can produce a huge variety of products in the sweets industry worldwide, which are exhibited as inspirations within an “Ideation Area”. As a follow-up, individual ideas can be directly discussed with the technologists to develop real solutions and applications for customers. In addition to talking with customers, our food product technologists will also be on hand with the chocolate maker in the adjacent Innovation Lab conjuring up a variety of sweets for public sampling. 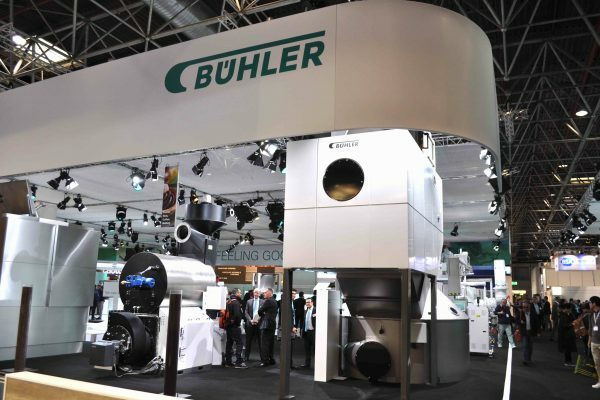 Besides products and applications, trade show visitors will also be able to experience the latest service tool at the Bühler-Haas booth first hand. Smart glasses allow a Bühler or Haas service technician to ‘see’ through the eyes of a customer from his or her own workplace. Speaking to Confectionery Production, Daniel Troxler, marketing director, added: “What is important to us is the interaction with our existing and potential customers. At the ProSweets we focus on end products and new potentials that arise from the combined process chains offered by Bühler and Haas.